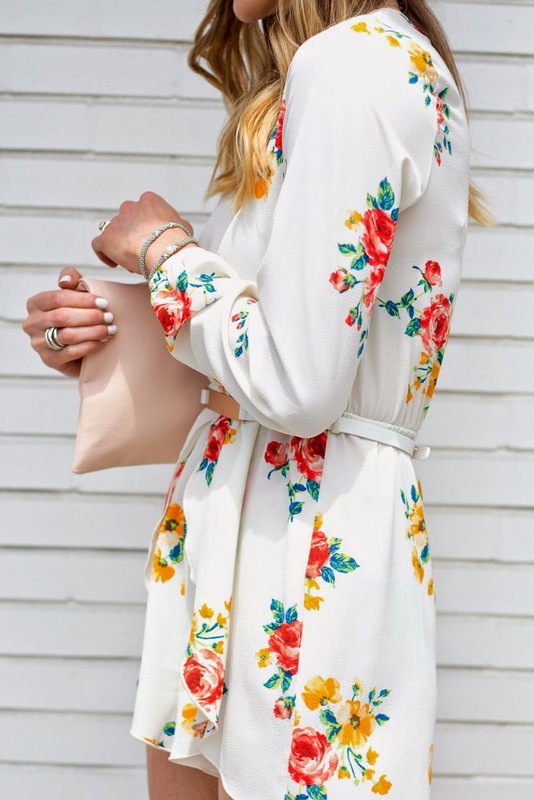 As you all know, I am all for a good romper and this adorable floral number under $50 is to good to pass up. The loose fitting sleeves means this little number can take me through the next few months, especially for wearing at night. 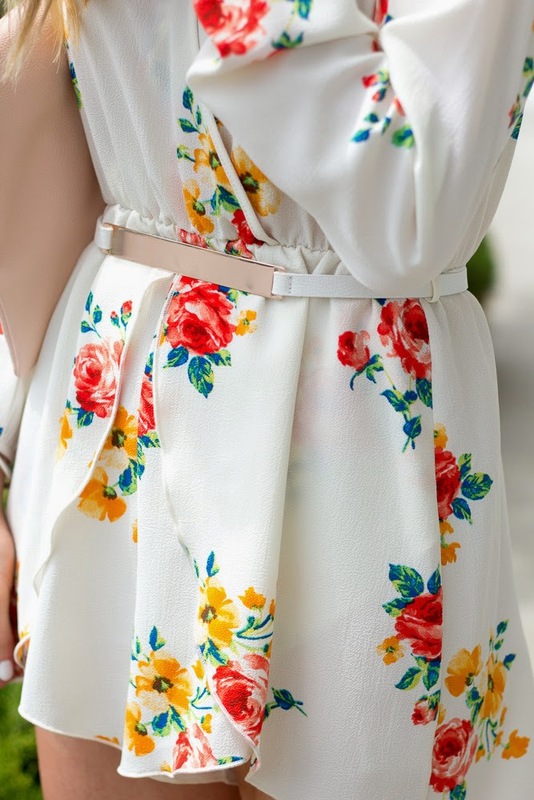 This romper has everything I love in a spring/summer outfit; a pretty floral print, sweet ruffled edge, and a loose fit. I am a fan of the no fuss appeal of a romper…easy to throw on, minimal accessories, paired with a wedge or strappy heel and be out the door! Happy Tuesday everyone! PS-All my Omaha gals, make sure to check out Mod Boutique, they have adorable items and all under $100! FREE SHIPPING on all items including this romper! Thanks to Mod Boutique for sponsoring this post. As always, thank you for supporting all Cella Jane partnerships! Super cute romper! I love how the hem looks like flower petals! That romper is adorable! I love the white background with the bright floral print! I love this look! so pretty and girly. Obsessed with your orange heels!